From the moment you call in to schedule your first appointment, you’ll know that you made the right choice with DeMaio Orthodontics. Our team is friendly and knowledgeable, and Dr. DeMaio himself has over 16 years of experience serving patients of all ages. He’ll take the time to completely tailor your or your child’s orthodontic care so that it’s comfortable, effective, and guaranteed to deliver beautiful results. We all love helping people smile, and thanks to our commitment to service, we make it nice and easy for our patients to get the straighter teeth they desire. Everyone who walks into DeMaio Orthodontics is completely unique, and we believe that their orthodontic care should always reflect that. Nothing is ever “cookie-cutter” here—Dr. DeMaio personally sits down with every patient to discuss what they would like to accomplish with their treatment, and with their goals in mind, he can get to work and fully personalize their care. We understand that our job is to treat people here, not teeth, so you’ll be valued and listened to every time you come to see us. Dr. DeMaio brings his decades of experience and advanced training into every consultation, exam, and treatment he provides, helping patients get exactly what they need in the most efficient way possible. 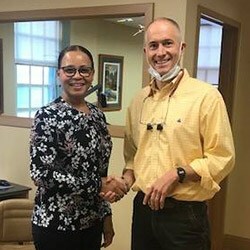 He’s been able to hone his clinical skills to a fine point over the years, so no matter what a patient’s teeth may look like now, he can assuredly give them a straighter, more balanced, and more attractive smile as quickly and comfortably as possible. With him, you’ll experience premier quality from your very first appointment all the way until we reveal your new smile in the mirror! Technology plays a big part in what we do here. 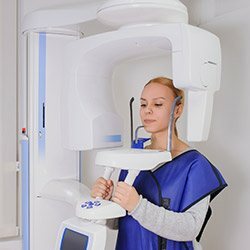 Our digital scanner eliminates the need for messy impressions with odd-tasting dental putty, we can put together the perfect treatment plan using high-tech X-rays, and we can even utilize dental lasers to help treatments fit better. On top of this, our office locations are largely solar powered as well! We’re always looking forward and are constantly updating our facilities, so we can continue to deliver the highest-quality care possible. At DeMaio Orthodontics, absolutely every smile is welcome, including those with special needs. If you have a child who is developmentally delayed, autistic, or has a physical impairment, know that we are more than happy to accommodate them. Our team has plenty of experience with patients who have a full spectrum of special needs, and we’re always more than willing to put in the extra effort to make sure our special smiles always feel welcome and comfortable.